Simon Wittenberg reviews the four-star hotel in Newquay, the first stop on his luxury tour of Cornwall and the South West of the UK. 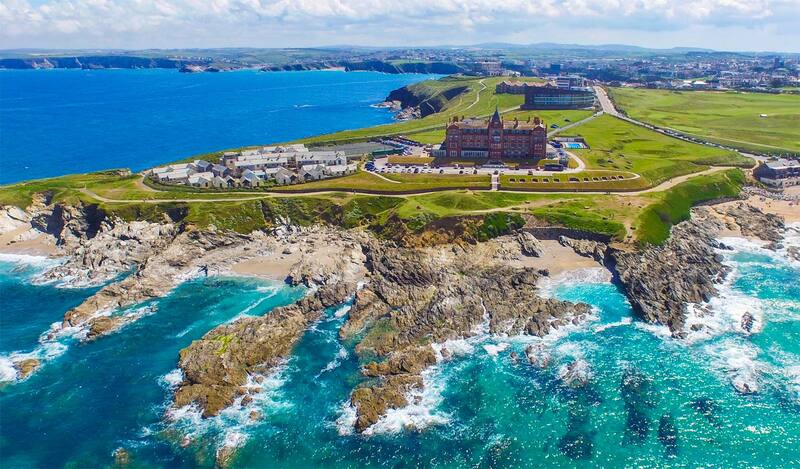 Our 280-mile journey from London culminated in the welcomed sight of the award-winning 96-room Headland Hotel & Spa which is perched on a clifftop just outside Newquay town centre. Most people will probably recognise it from the film, “The Witches”, which is based on the book by Roald Dahl. The dominant Grade II listed terracotta red-coloured building is steeped in plenty of history. 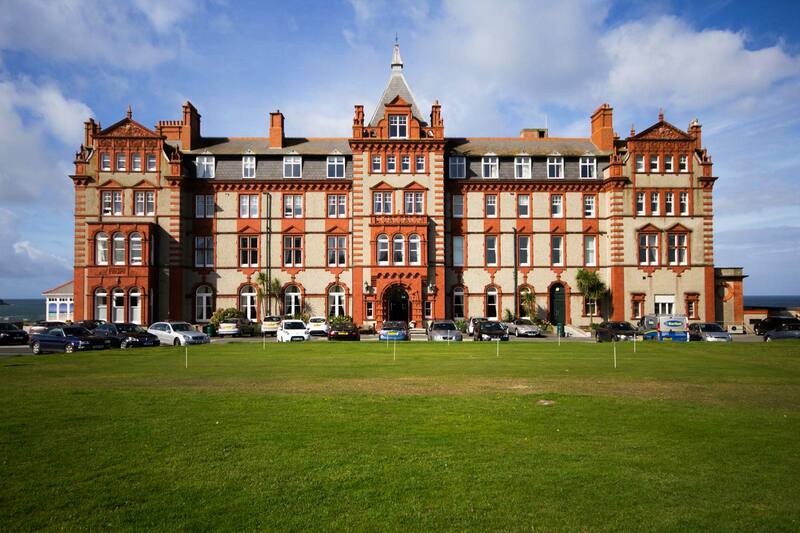 For a bit of background, it first opened to guests back in 1900, who included King Edward VII and Queen Alexandra, and during the Second World War, The Headland was used as an RAF hospital. However, things took a turn for the worst as of the 1950s, and in 1970, the Armstrong family, who are still the current owners, arrived and took on the huge task of rescuing the hotel from the brink of collapse. Over the decades, more than £30 million has been invested by the Armstrongs, and the original architectural features of The Headland have been subtly retained, which means that you are welcomed with a very traditional décor rather than a contemporary environment. It prides itself on being a very dog-friendly hotel, and you will often find a pooch lying on the floor whilst their owner enjoys a drink in the bar, and reception will even babysit your four-legged friend if you want to have some “me time”. This can be spent in the hotel’s five-bubble Spa which offers a range of treatments, whilst there is also the Leisure Area which boasts a Swedish sauna, Cornish salt steam room, Jacuzzi and a swimming pool where we put in a few lengths. 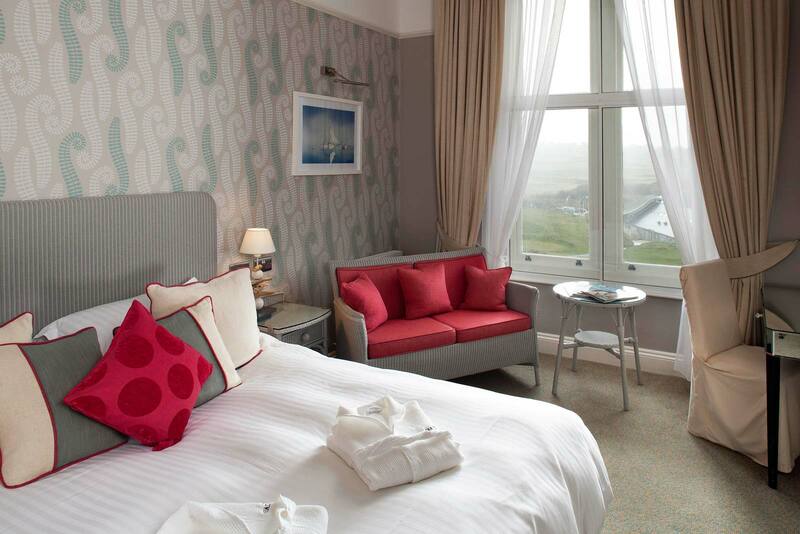 At The Headland, there are various classifications of rooms and suites to suit different travellers and budgets. We stayed in a Fistral Double overlooking the roaring waves of the North Atlantic. The very spacious room had a four poster bed dressed in crisp white bedding, a writing desk, and in-room coffee making facilities to be able to enjoy a cuppa in the soft seating area whilst admiring the view. 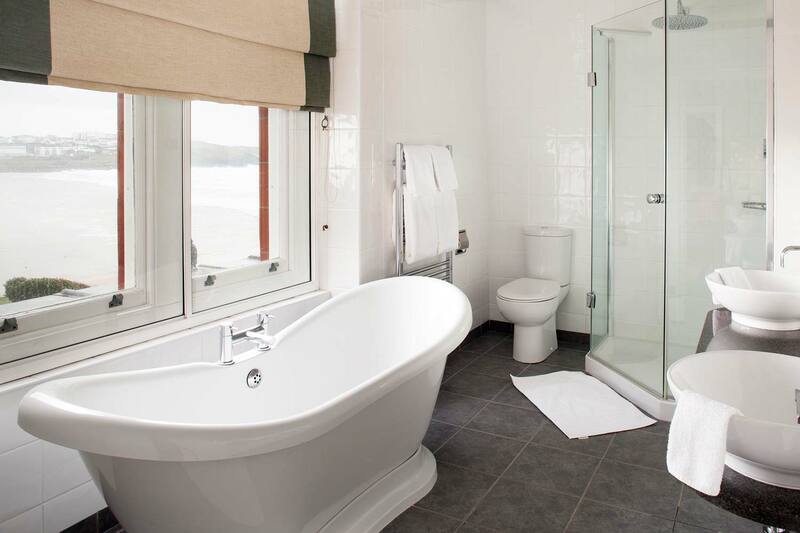 The spacious modern bathroom with underfloor heating came with a double sink lined with a complementary selection of nicely-scented Elemis toiletries, a freestanding bath and a heavenly electronically-controlled rain shower.